Cave Man North: Alrighty then. Well Christmas is over and it was pretty sweet I got some awesome presents but there is one I want to show. 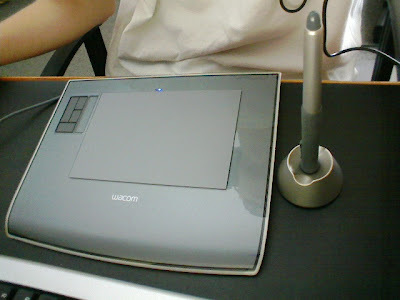 Its a Wacom Intuos Tablet. So I have decided that to help me practice with it anyone can request a drawing/picture. I won't guarantee anything spectacular, as I am still getting used to it. But hope fully they wont be to shabby. Well happy holidays to everyone. Michael and Chris have that one too. It's really good they say.